On a dangerous search for an underwater uranium deposit GI Joe is menaced by a whirlpool and killer sharks! What is that glinting on the sea floor? 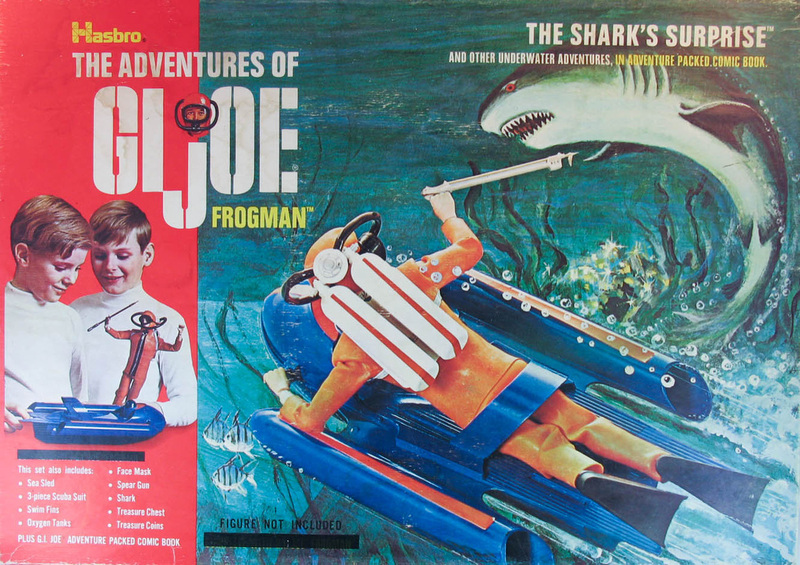 In The Shark's Surprise (7940) GI Joe was given a much simplified and non-motorized version of the sea sled molded in solid blue. 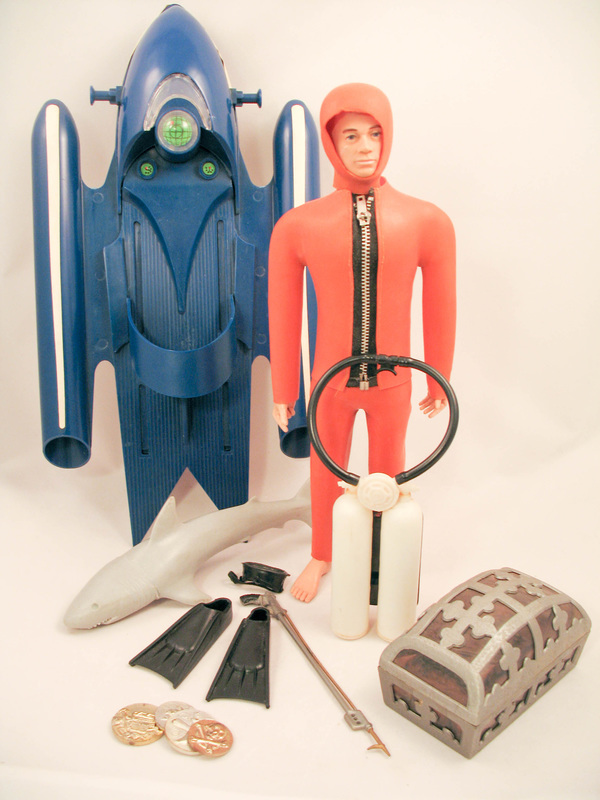 Most of the accessories in the set were also available in Danger of the Depths, and the treasure and chest were shared with Eight Ropes of Danger. This set was available with or without a GI Joe figure. Boxes that didn't include the figure just blacked over the 'figure included' text. I have added a GI Joe to the box. 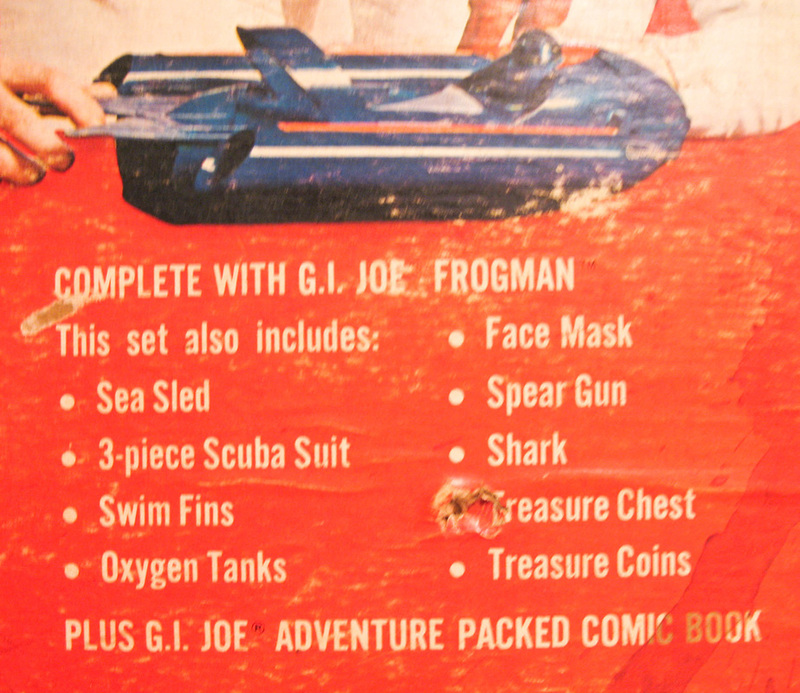 The 1969 red top box can also be found with a 1970 Adventure Team version of the set inside, apparently an attempt to use up surplus boxes. 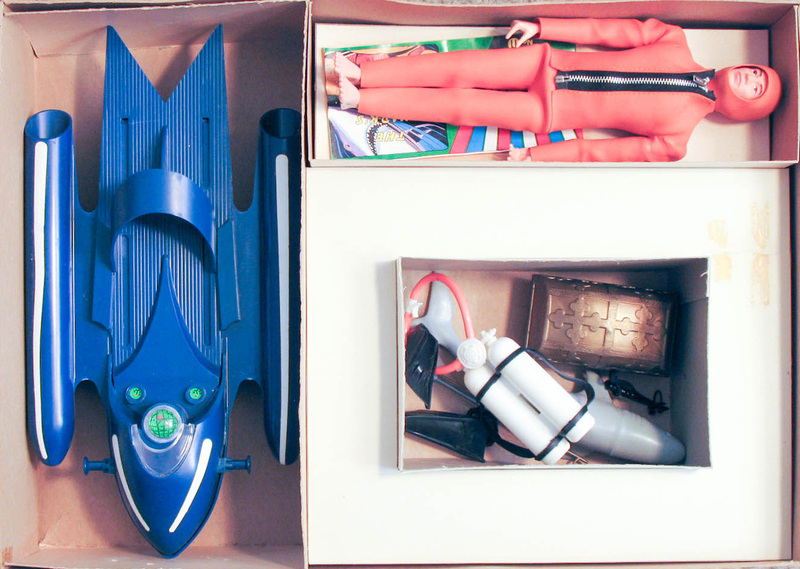 Above and left, the 'figure included box language. 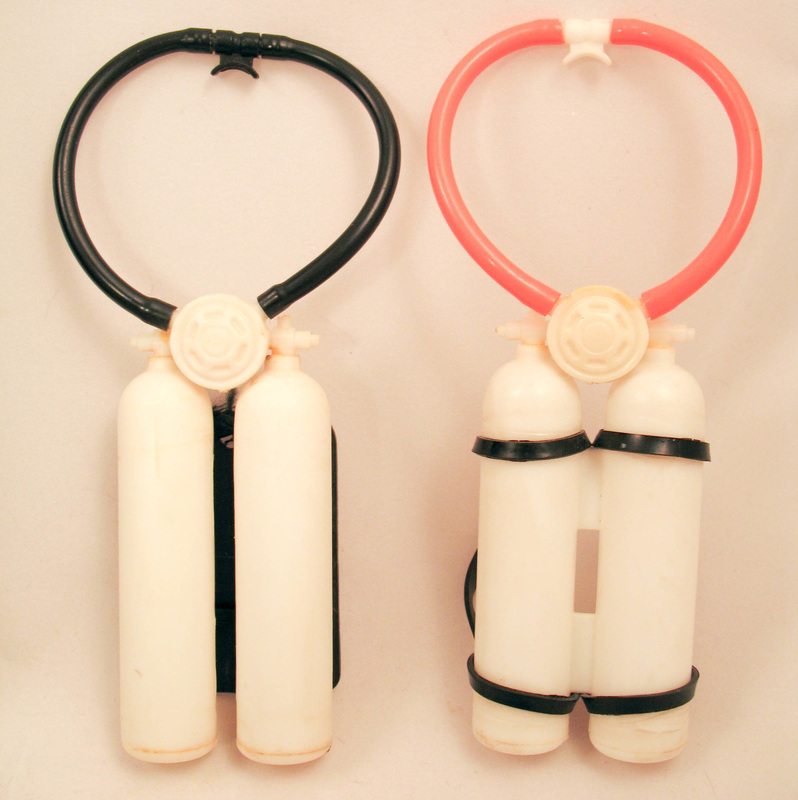 Another variation is the first version of the white scuba tanks with a back plate like the earlier ones found in the Navy Frogman and Sea Sled sets. Hasbro switched to a simple vinyl or soft plastic strap later, probably to simplify production.